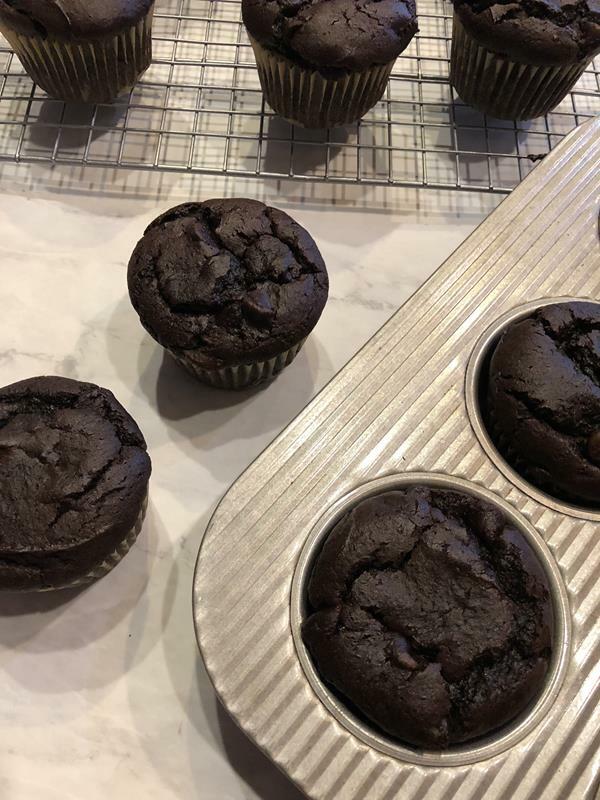 Need an easy homemade bakery style chocolate muffin that your family is sure to love? It seems like there are two kinds of muffins. I know there are many kinds of muffins, but it seems like they fall into two categories. Healthy and unhealthy. The healthier ones usually contain fruit or protein and work for great for breakfasts and snacks. But there is also the more bakery style dessert kind. They are the muffins that work well for a special treat and are more of a dessert. Today we are covering the dessert type of muffin. The kind that tastes like it came from a bakery. My family has always really liked the muffins you can buy at Sam’s Club and Costco. You know the ones that come in a big pack and are more like a dessert than a muffin. Over the years I tried many times to recreate those muffins. 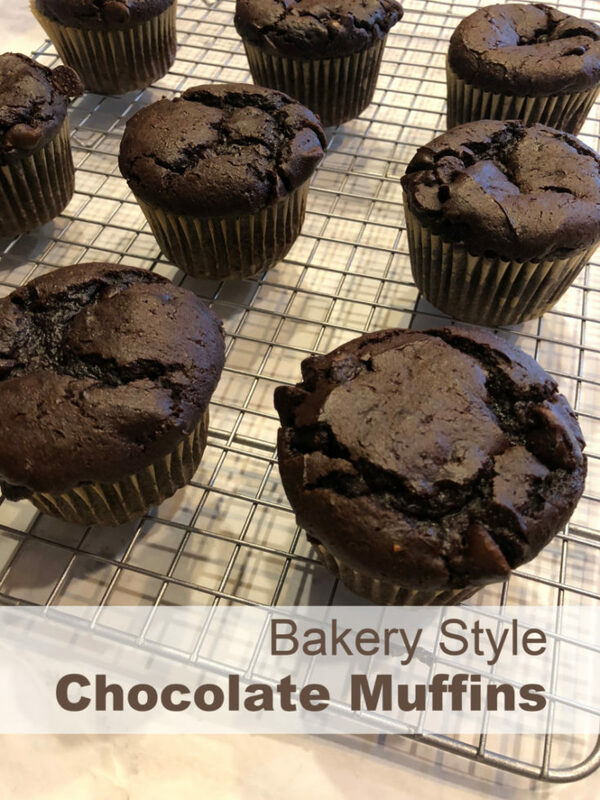 Years ago, in my early days of blogging, I found a recipe for chocolate muffins that my family loved and thought tasted just like the ones that you can buy at the store or bakery. I shared that recipe way back in April of 2008. That was my first year of blogging. After I started eating gluten free I kind of forgot about that recipe. I was recently looking through the archives of my site and came across it again. 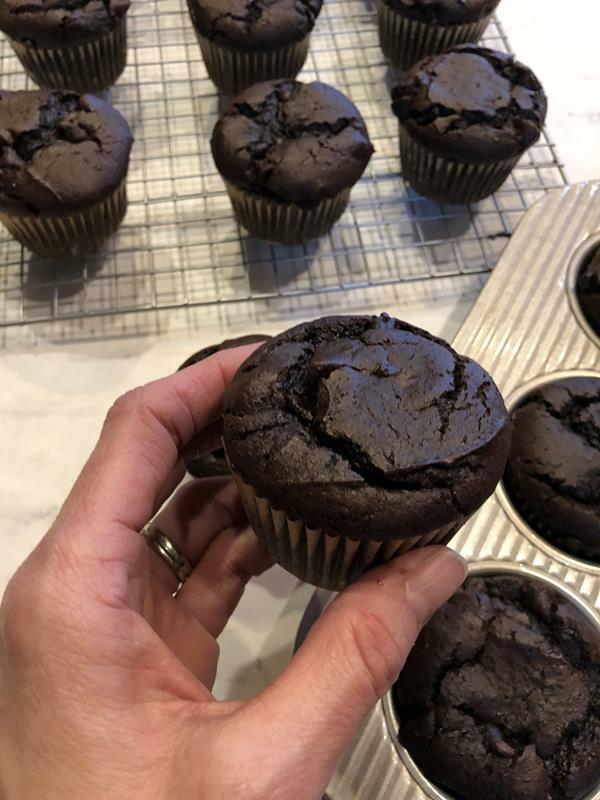 When I saw it and remembered how much we loved those muffins, I knew I had to make them for my son who still loves the chocolate muffins from Costco and Sam’s. Since very few people read my site back in 2008, I knew I had to share the recipe with you again too. When you see the recipe you will know why these are more of a dessert than a muffin. They are basically a cupcake without frosting. But they are so good. They make a great special breakfast or treat. My son loves them for dessert. I am also sharing the gluten free version. You can find the bakery style gluten free chocolate muffins here. They work great gluten free. Yes, muffins freeze great. I almost always have muffins in the freezer for easy breakfasts, lunches, and snacks. My kids just take them out and defrost them as needed. This recipe is a great recipe to cook with kids because it only contains a few ingredients. My girls used to make these all the time by themselves without help from me. It is a great starter recipe for working with your kids in the kitchen or for them to make by themselves. This recipe is so easy and kids love them. Kids will enjoy cooking more if they enjoy the food they are cooking. Lightly grease a muffin pan or line with muffin liners. This makes about 18 muffins. Set aside. In a mixing bowl combine yogurt, water, oil, and eggs. Mix until well combined. Stir in cake mix and pudding mix. Mix just until combined. Scoop batter into muffin tins filling each cup about 3/4 full. Bake 20 -22 minutes or until toothpick inserted into the center comes out clean. Let cool in pan for 5 minutes then remove to wire rack to cool. These muffins will store for a couple of days. They also freeze well. Wow, that’s a nice picture. I have the urge to smash a handful of those cupcakes into my face. I just read the post instead of only staring at the picture…those Costco muffins are good and have like, 5 billion calories each! Maybe making these at home can cut some of that. It seems like homemade stuff is generally easier to get fewer calories in. Well, these still aren’t healthy. Plus, they are smaller then the Costco ones. But if you eat two or three like I did today it may be about the same as one big one. :)But overall I think homemade is usually…..lower calories. Now I wish I could duplicate the other flavors they have. Hi! 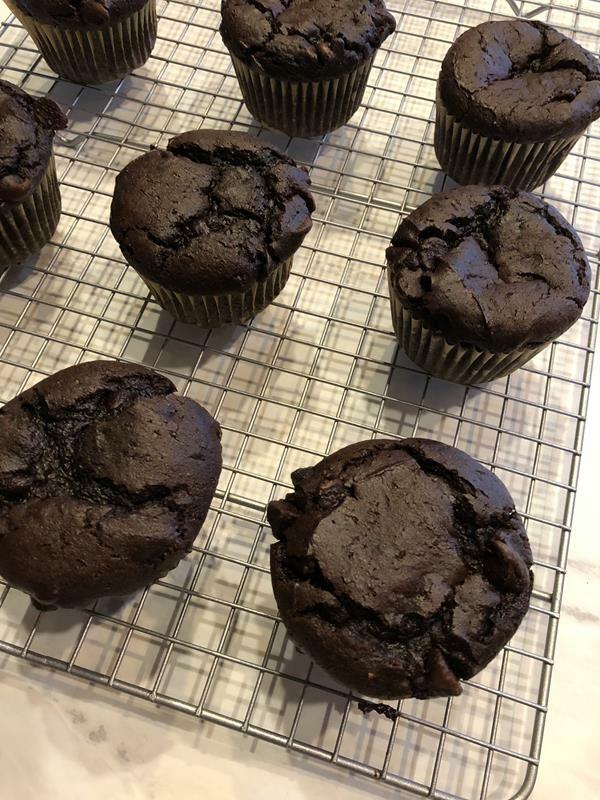 I was so worried today…I had all the ingredients for Big Bad Chocolate Muffins. My daughter’s teacher had made me a copy of this recipe since she told me a story about how her college-age son loves them. And, I regret to admit, I lost the recipe. My five year old remembered the name and voila!, I found your blog via google. T hanks sooo much. I am now a fan of this blog. Thanks Dee Dee, I am glad you found the recipe. I love those. I hope you enjoy them and I hope you enjoy my blog.